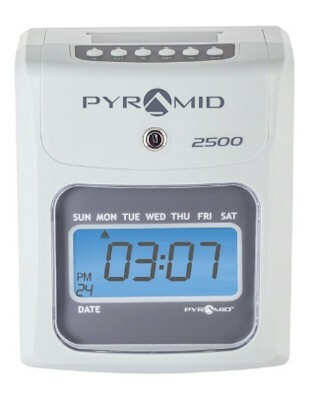 We offer our selection of time cards to fit Pyramid models from our over 400 time card forms. All cards are PRINTED in the USA. Standard time card stock used is 125 lb. MANILA tag, unless otherwise indicated. 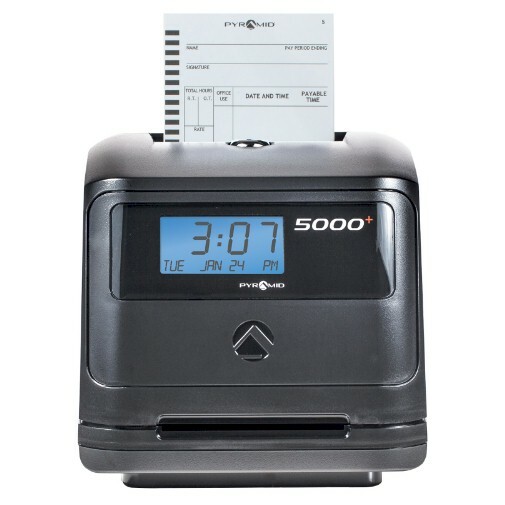 Bar-coded cards for Pyramids time calculating clocks such as the 4000, 4000HD and 5000+ as well as time cards for their side printing clocks like the 300, 3500 and 4700 series. However, don't overlook our offering of cards for the 2400, 2500, 2650Pro and older 6200 series. 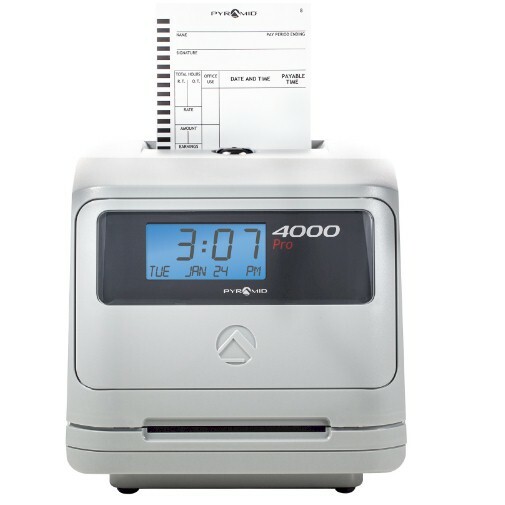 Time cards are rotary cut for accuracy and smooth operation. Please call us at 800-858-7462 for more information. FREE SHIPPING to the contiguous 48 States & DC is included. You will feel and see the difference of our time cards. Better card stock, rotary cut, quality printing. You won't be disappointed in our cards, our quality, or our service. Card measures 4.00" x 9.00"
This card is specific to the Pyramid Model 2400 and may not work in other time recorders.